The ACM Awards, which honors the BIGGEST names in country music is gearing up for its 52nd annual show, and Kelsea will be there to take the stage! Kelsea will perform on the 52nd Academy of Country Music Awards, broadcast LIVE from T-Mobile Arena in Las Vegas, Sunday, April 2 on CBS. Kelsea, who’s already a past ACM Award winner, received TWO nominations this year for Video of the Year Presented by Xfinity for “Peter Pan” and Female Vocalist of the Year! 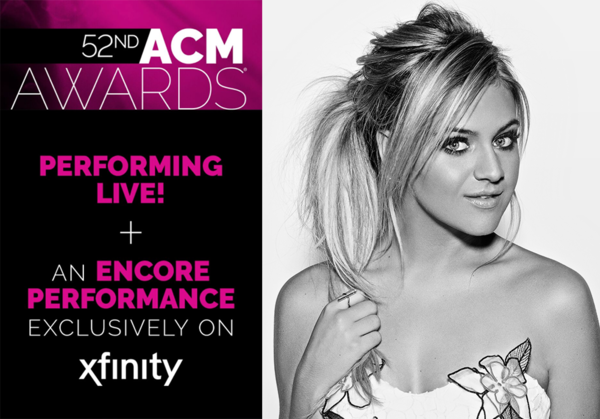 In addition to the live broadcast on CBS, Xfinity TV customers will be able to watch an encore performance from Kelsea and tons of other behind the scenes content on Xfinity On Demand. The content will also be available online at xfinity.com/ACMawards. Hope you’re excited! Rock the stage kelsea for CMA Awards for me!!! !